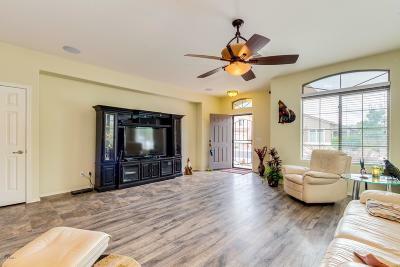 Stunning home with beautiful open concept floorplan, hardwood floors and built-in shelving are only a few of the features of this home. 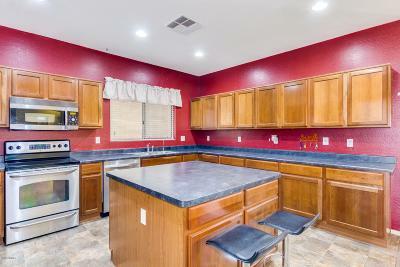 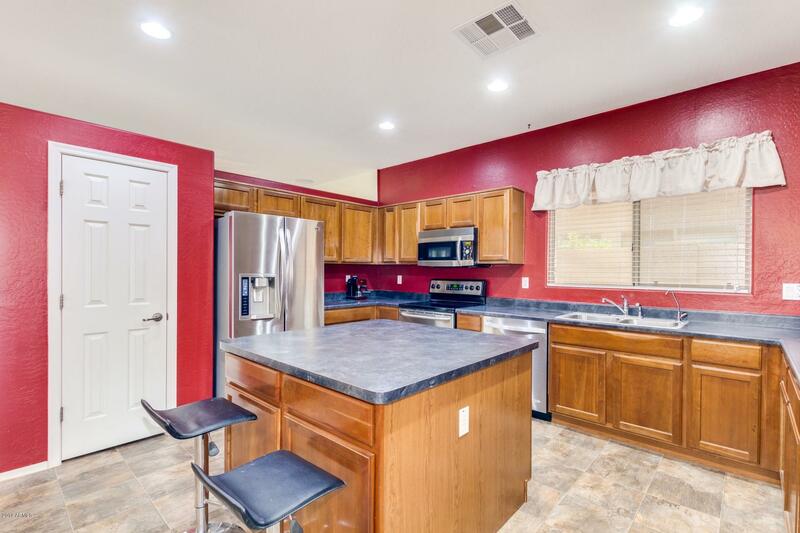 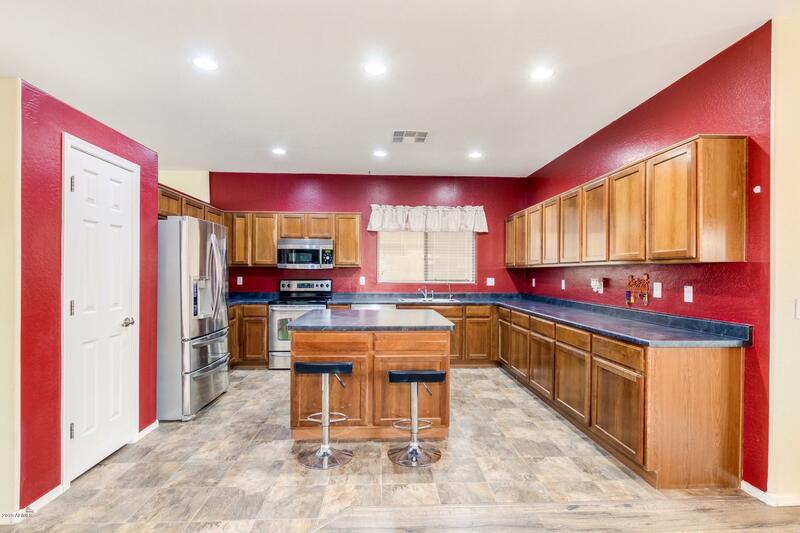 This exquisite kitchen is complete with rich cabinetry, an island and stainless steel appliances. A pantry and two dining areas add the finishing touch! 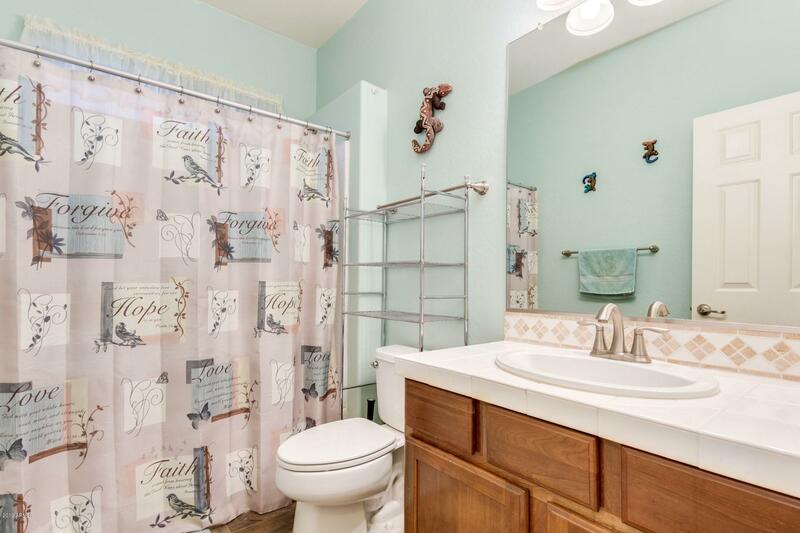 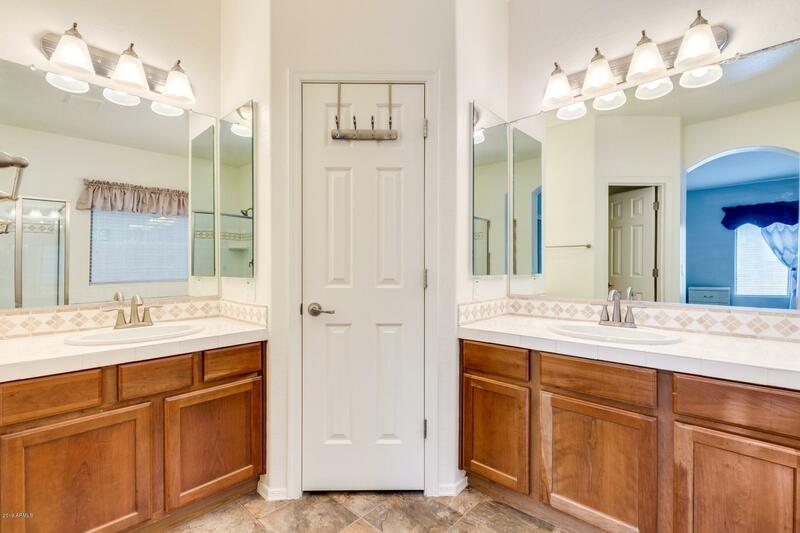 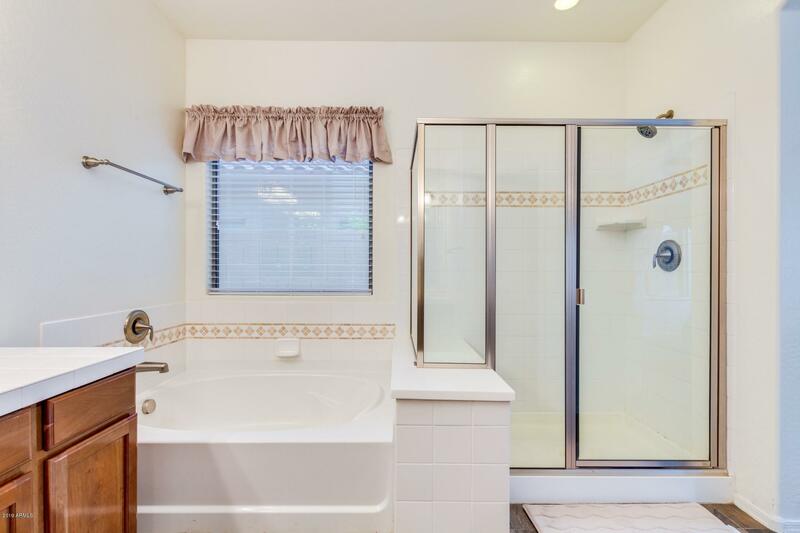 This master ensuite is comprised of his/hers double vanities, separate garden tub/shower and two closets. 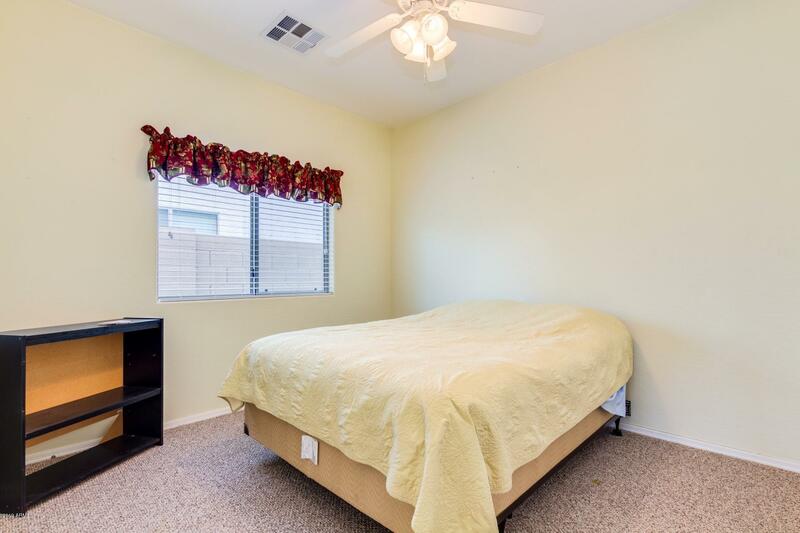 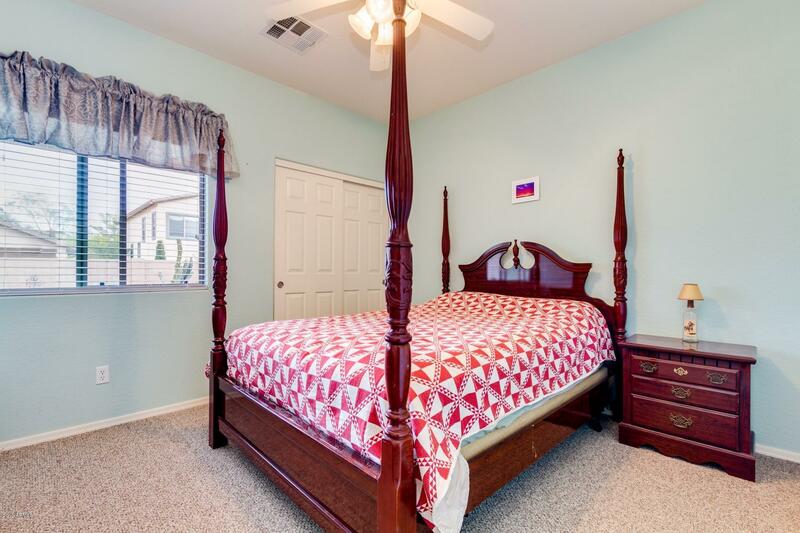 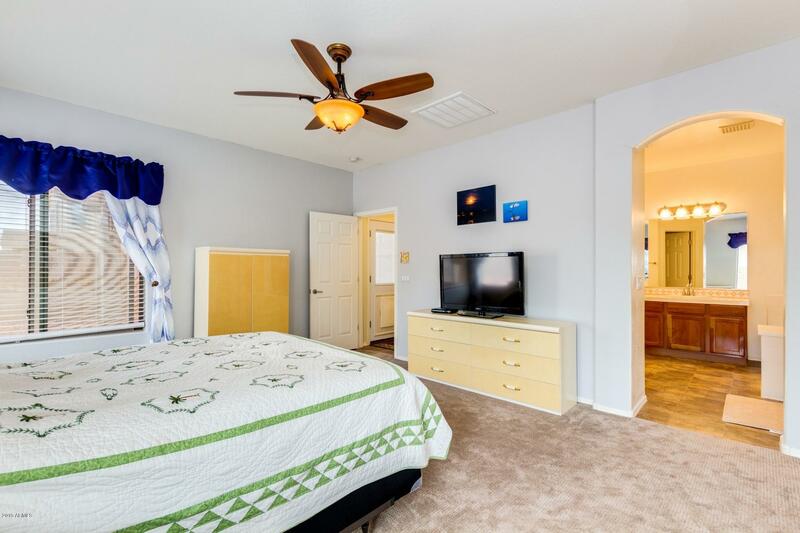 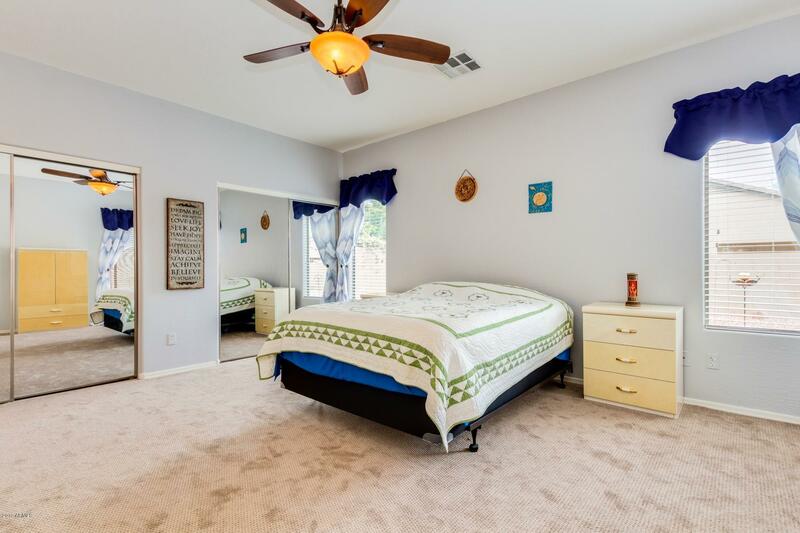 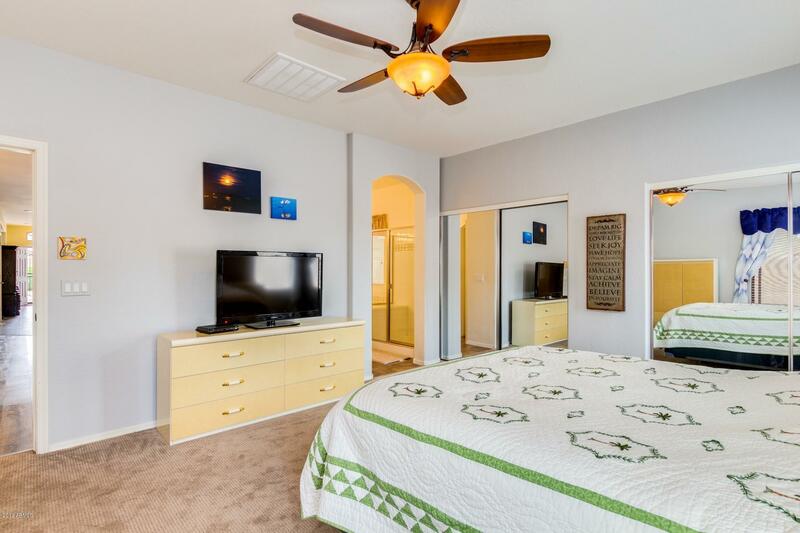 Additional bedrooms are spacious! 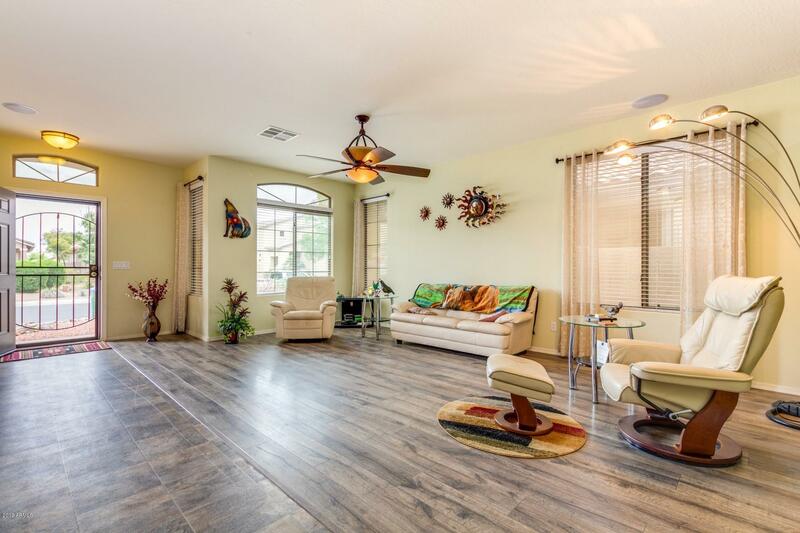 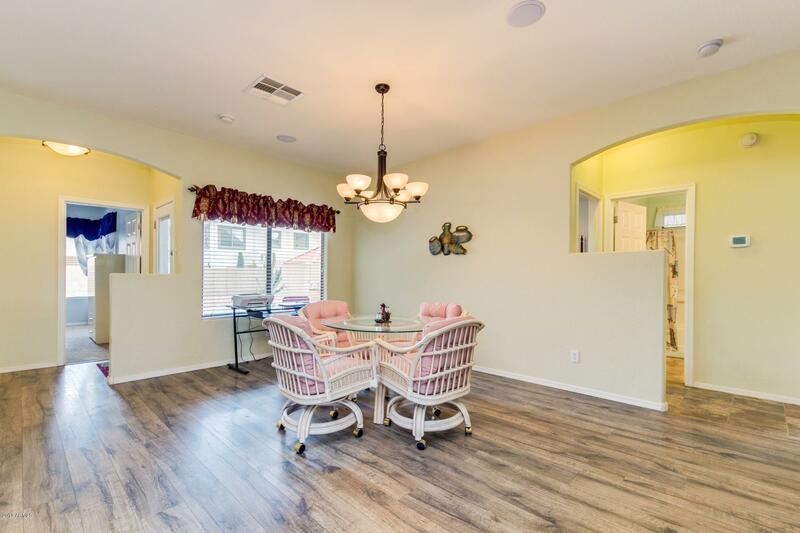 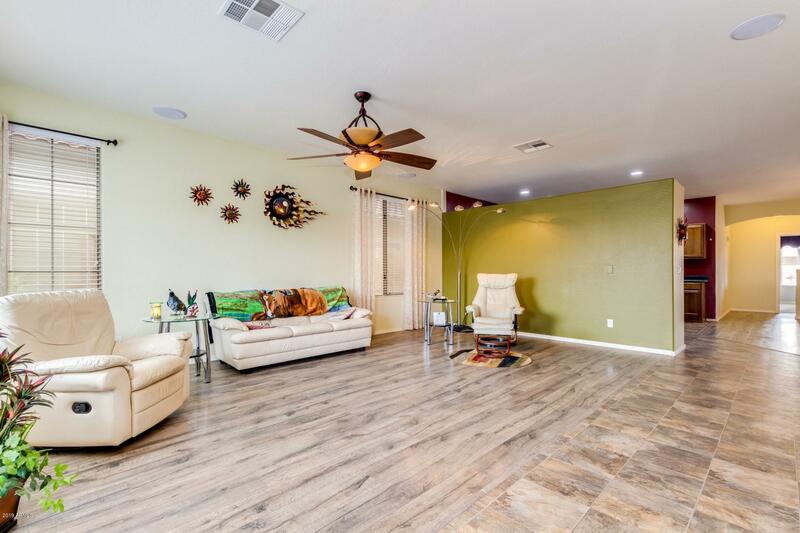 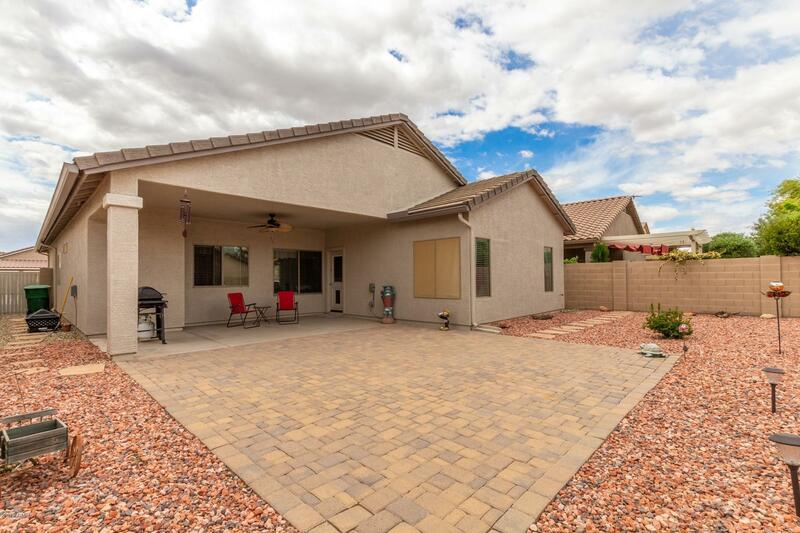 Step outside onto this oversized covered patio and extended pavered patio. 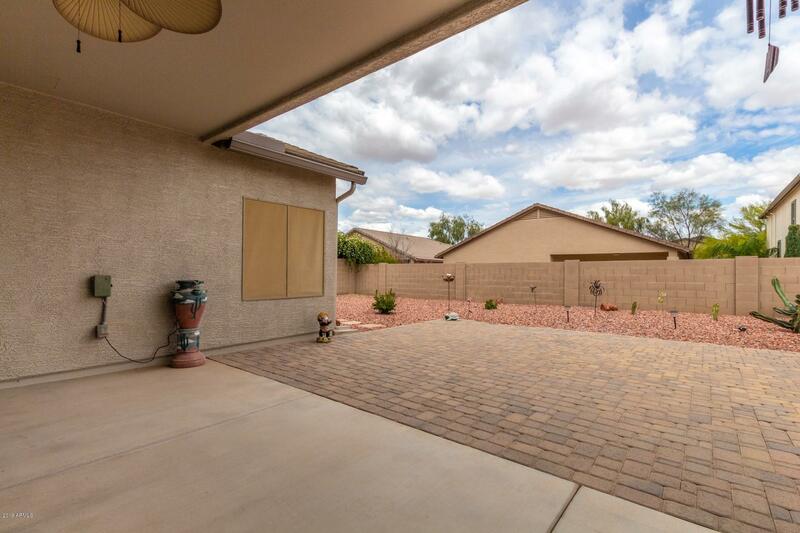 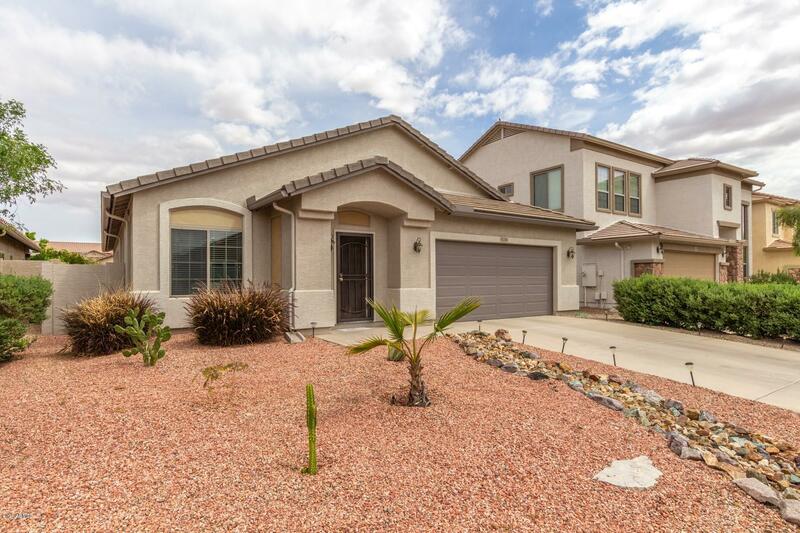 Take in the view of this low maintenance backyard with decorative gravel and desert plantings. 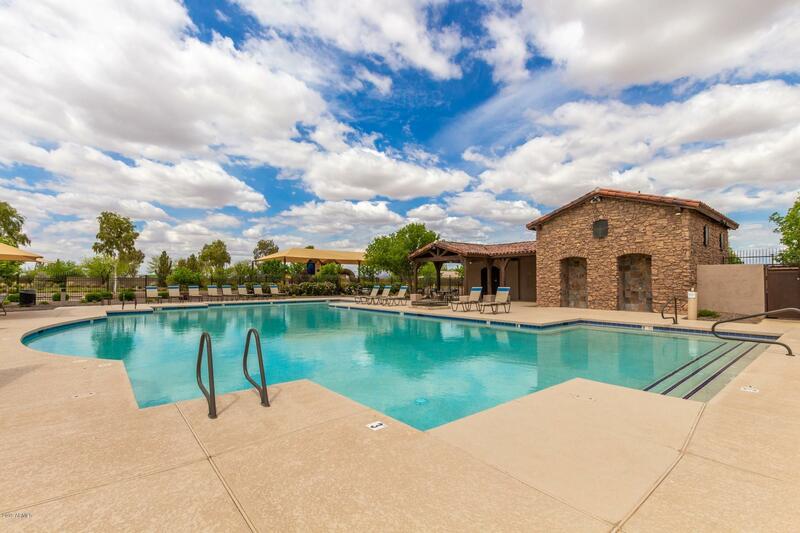 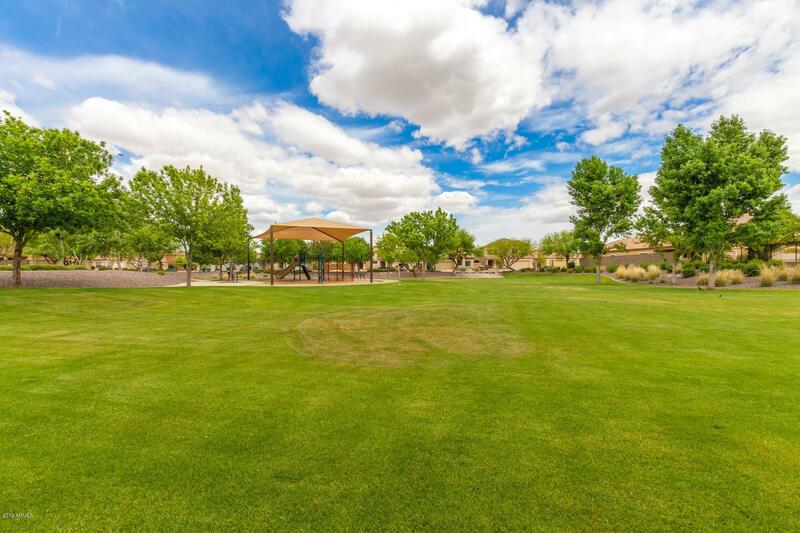 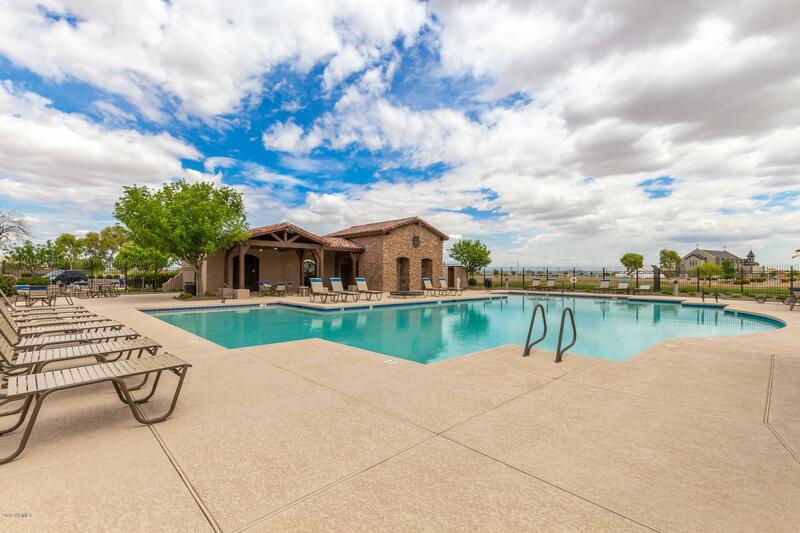 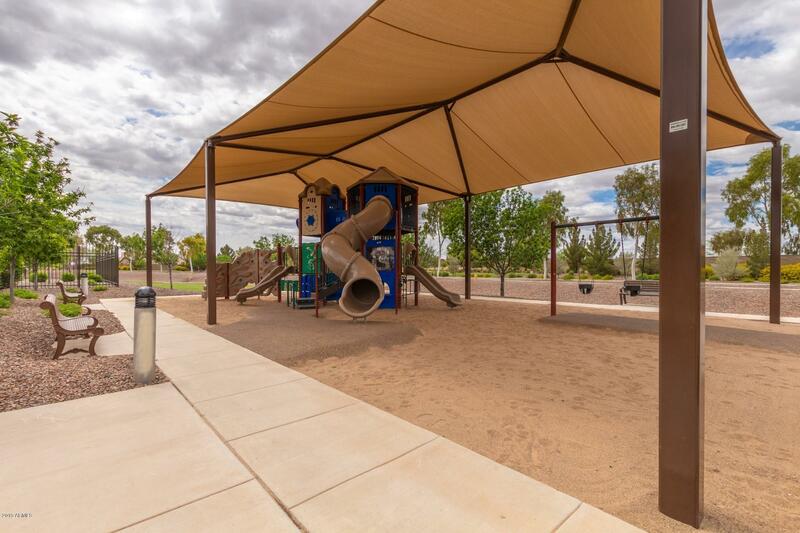 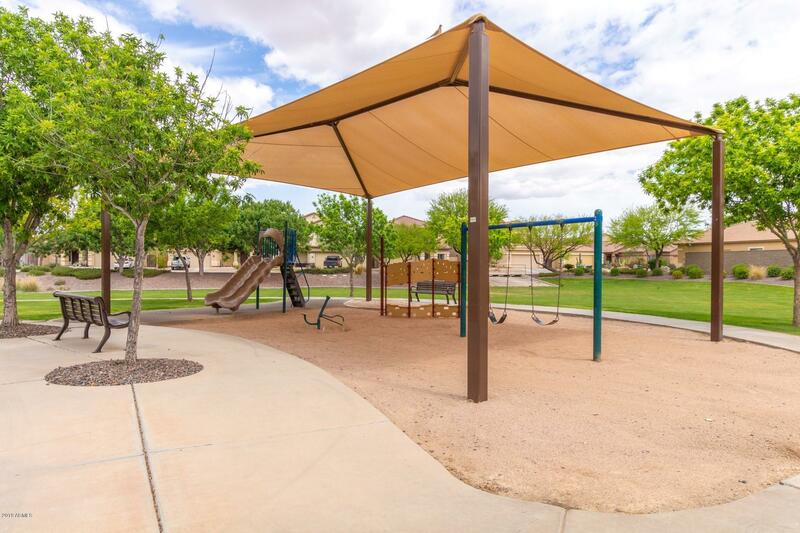 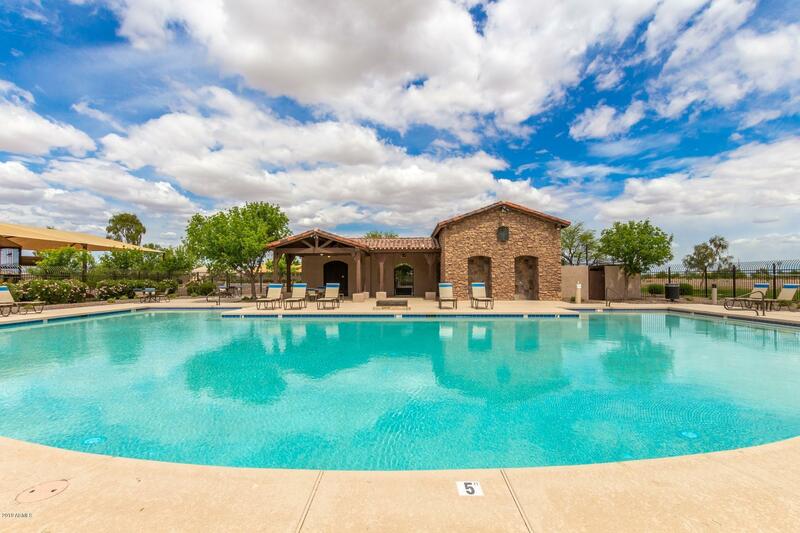 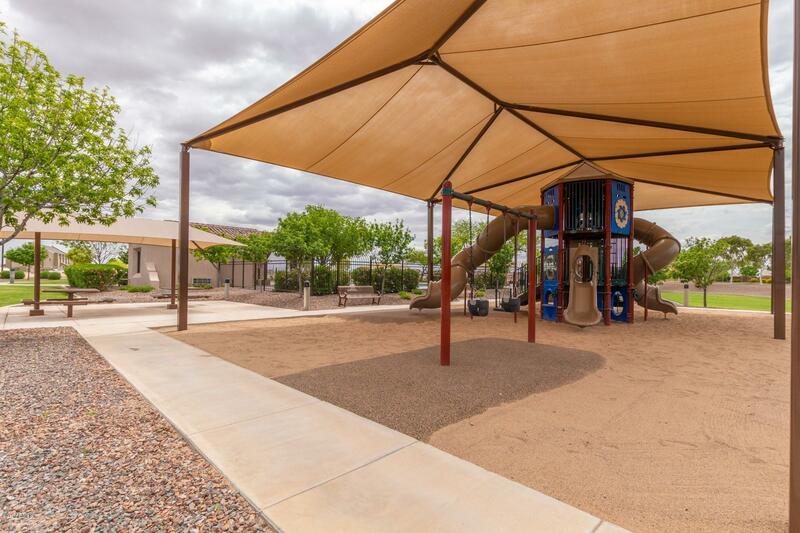 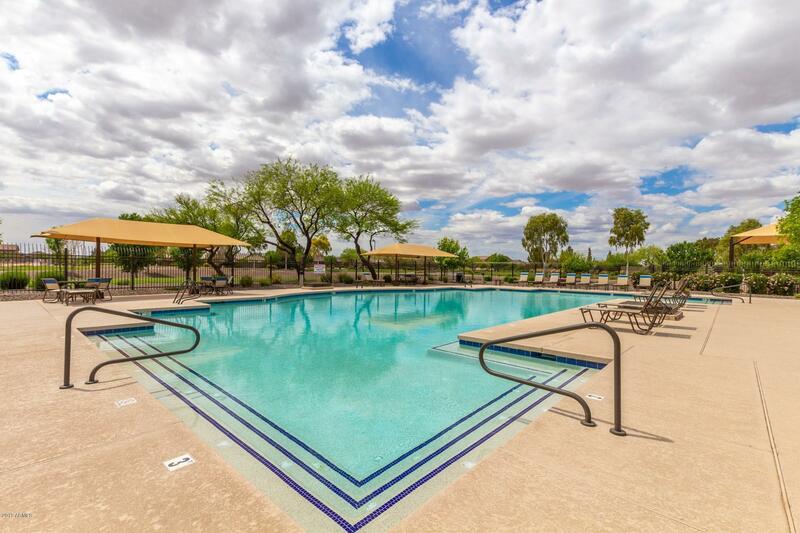 Become a part of this neighborhood and enjoy the park, pool and all the other amenities this community has to offer! 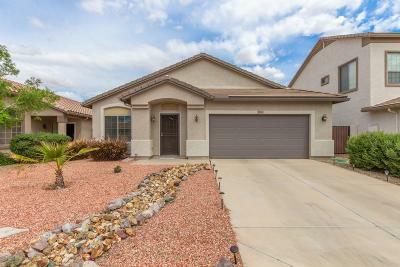 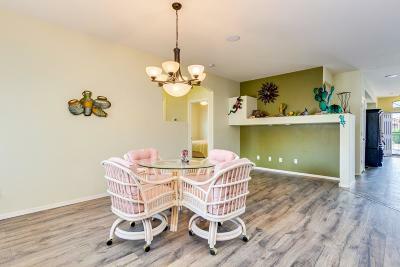 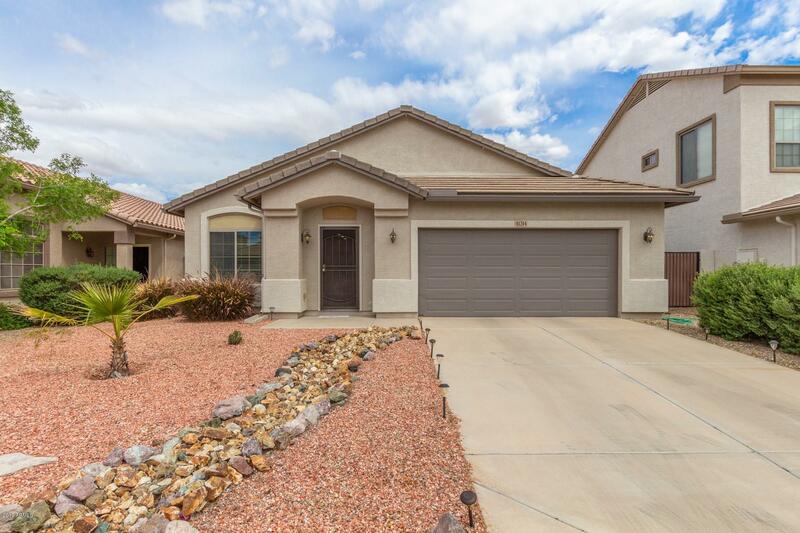 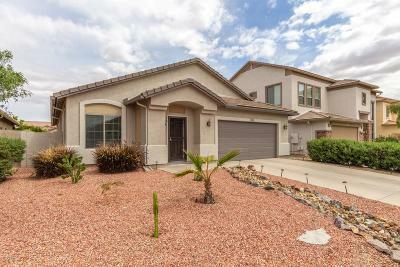 This home is priced to sell and will not last- see this home today.